So was ex-heavyweight champ Nikolai Valuev exposed by David Haye and before that by Evander Holyfield and Ruslan Chagaev as "just" a giant, incapable of boxing? Some seem to think so, not me though. I think it´s a case of a fighter who´s getting old, simple as that. Valuev was by many viewed as a joke when Sauerland Event signed him up in 2003 but once in proper training with good sparring helped by excellent matchmaking Valeuv developed into a decent fighter, very tough to beat due to his size. Against a world class boxer like Larry Donald he was close to losing but pulled it together in the last rounds for a close points win. He then won the WBA title in 2005 and lost it in 2007 against Ruslan Chagaev where he for the first time showed an remarkable incapability in fighting a southpaw, cut the ring off and work a smaller opponent over. And to me it´s been like that since then. Nikolai Valuev is simply an over the hill fighter and should take the consequenses as there are no return from this. He will never regarded as an all-time great but was certainly no joke either. 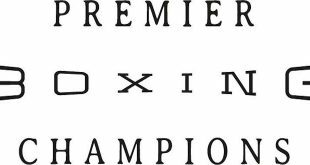 Dimitri Sartison vs Stjepan Bozic for the WBA "standard" super middle title will now go ahead November 21 in Kiel on the Fragomeni vs Erdei bill. Sartison vs Bozic was originally set for the cancelled Krasniqi vs Dimitrenko show in Oberhausen November 28. There are now three world titles at stake in Kiel with WBC cruiser king Giacobbe Fragomeni taking on Zsolt Erdei and Humberto Gutierrez facing Vitali Tajbert in a fight for the WBC interim title at junior light. Swedish heavy Attila Levin return to Finland November 27 and may fight Ukrainian Alex Mazikin on P 3 Boxing´s show in Tampere. Juho Haapoja defends the Finnish heavyweight title in the headliner against Jarno Rosberg. Bruno Zamora defends the WBA International junior welter December 18 in Latina, Italy, against Frenchman Christophe De Busillet. 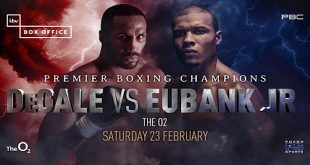 Welter Leonard Bundu, reigning European Union champ, is featured on the undercard in a non-title encounter. Cuban heavy Odlanier Solis have been quick to challenge newly crowned WBA king David Haye and no wonder. 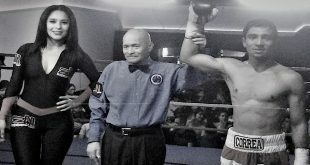 Solis stopped Haye in 2001 in finals of the World Amateur championships. 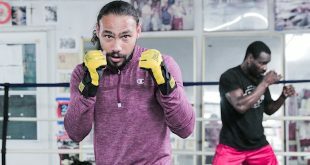 It´s a different ballgame in the pros but the question marks around Haye´s chin still linger. On the other hand many question Solis´ desire to make it all the way referring to his weight. Mirzhan Zhaksylykov and Peesadaeng Kiatsakthanee from Thailand clash for the vacant PABA featherweight title November 28 in Almaty, Kazachstan.